It has now been more than six years since the last instalment in the Harry Potter series was released. Six years since we have faced midnight queues and spent many diligent hours knitting our Gryffindor scarves (or is that just me?). Six years and I am still plagued by an intense feeling of despair whenever I consider the fact that we will see new Harry Potter stories no more. Denial – ‘What are you talking about? 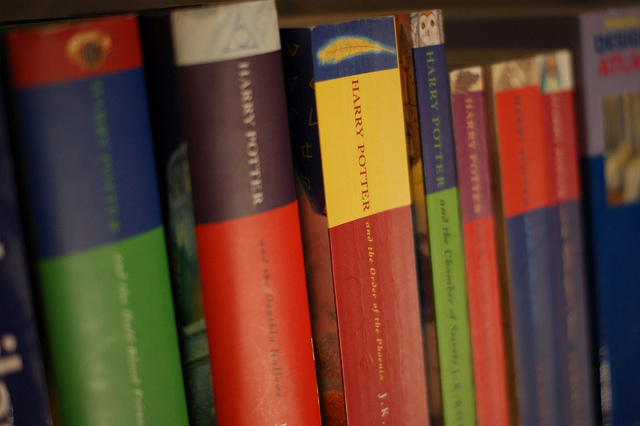 Of COURSE there will be more Harry Potter books’. Bargaining – ‘If I just take one more selfie in complete Hogwarts uniform, she will have to write another book’. Acceptance – ‘There will be no more Harry Potter. Let the re-reads begin’. Yes, friends. It’s true. No new Harry Potter books to look forward to. But how about the joy of a series re-read with the benefits of hindsight? It is not even a process that you must go alone. The gang over at Mugglenet (revealing the extent of my obsession here, but without shame) are in the midst of a new podcast series – Alohomora! This is a brilliant accompaniment to any attempt at reading back through the series, tackling roughly three chapters per episode and with discussion among a number of Mugglenet staffers. I am personally finding it massively insightful and a lot of fun – although this probably says more about me than the merits of the series. How about physically experiencing some top Harry Potter sites?? We in the UK have the good fortune of various filming locations used in the adaptation of the series – from Oxford to Durham. We also have the (fairly) newly conceived Warner Brothers Harry Potter Studio Tour. Featuring a variety of props, pieces of setting, and a broomstick flying photo op, this is the ultimate HP experience. How do I know all this? Exclusively from the website and some ecstatic recommendations. Why haven’t I been? Because I am waiting until I find an appropriately emphatic fellow Harry Potter fan to accompany me. Now accepting applications. If you are in the US, you have the option of a jaunt to Orlando. A visit to Universal Studios will give you the chance to explore The Wizarding World of Harry Potter. Having left Florida shortly before the completion of the Park, I am enormously resentful of everyone I know who has been (I’m joking of course – except in the case of my brother, the ultimate non-Harry Potter fan and one of the first in line after the park opened). I’ve heard some amazing things about it. After all, who wouldn’t want the chance to drink some actual butterbeer? 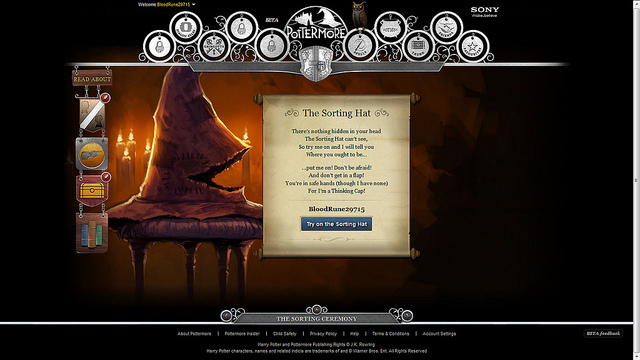 JK Rowling clearly appreciates the extent of our sadness, for she has gifted us the wonderful website Pottermore. Join up and you will be treated to the opportunity of working through the Harry Potter books – collecting items, gaining housepoints, brewing potions, and facing a variety of other challenges. Most importantly, you also get access to new information on the books and JK Rowling’s thoughts on various characters and plot points. She also gives us some insight into her inspiration. You will learn, for example, the Malfoy’s family background and the origins of Quidditch. Both important pieces of knowledge for life and you never know when they might come in useful during a game of Trivial Pursuit. I am currently in the middle of Harry Potter and the Chamber of Secrets – I would be further, but it took me about three hours to put the pixies back in their cage. If you have already passed this point, you will know what I’m talking about. If not, it will just sound like a very strange euphemism. So there we go. Three tried-and-tested ways of moving yourself to the final stage of post-Harry Potter grief. Proving, beyond anything else, that we need never let our love for the series die. I, for one, will continue feeling disappointment every 21 September – having long passed my 11th birthday, I remain convinced that I have simply been erroneously neglected. My Hogwarts acceptance letter will arrive one day. At least I already have the scarf sorted.